San Fermín is a synonym for street party; a mixture between carnival, Mardi Gras and a bacchanal, fueled with liters and liters of alcohol. 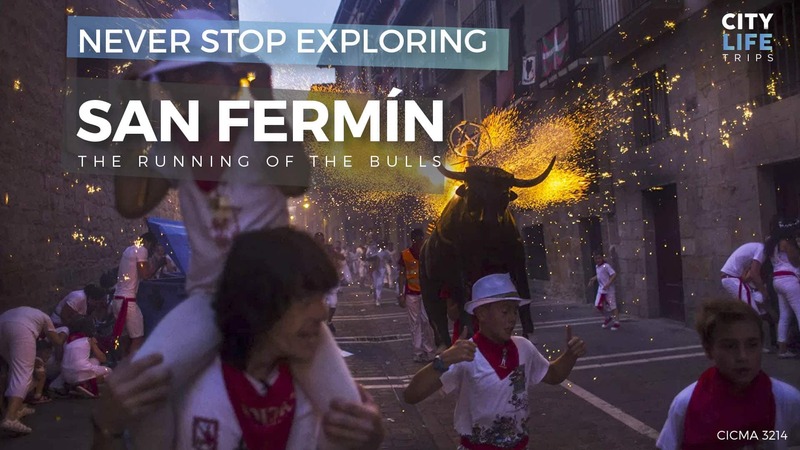 The festival honors San Fermín, the patron of Navarra; it is the perfect mixture of a religious celebration and the wildest street party you will ever see. As usual, alcohol and music are the center of the party, as well as people’s attitudes. There’s no other secret. Maybe the most amazing thing is how peaceful the celebration is despite its gigantic proportion! The golden rule, live and let live. People do not only drink and dance to the music in the middle of the street…they sleep, eat, wee, sunbath and of course love each other at any given place of the city. Everything seems to be great during San Fermín. > Once the bulls have overtaken you, stop running. The race is over for you!